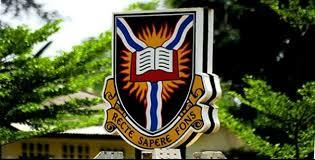 University of Ibadan, UI 2018 Convocation Ceremony Gown Collection and Fees Payment Guidelines for all Graduands. The University of Ibadan (UI) has released the procedures and guidelines for the 2018 Convocation and Seventieth Foundation Day Ceremonies academic gown collection and respective fees payment. 6. Graduands are advised to be properly dressed, robed and seated not later than 8.30 a.m. on each day. The assistance of Faculty Officers or Deputy Registrar/Secretary (The Postgraduate College) should be sought to ensure that the hood and cap are properly worn. The tassel (cord) of the cap should be worn to the right.